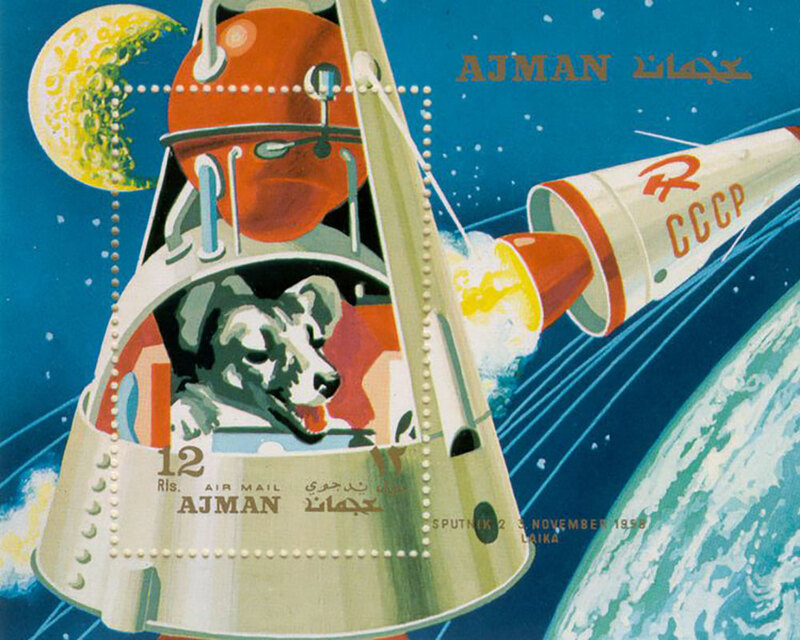 The original dog in space was Laika, as seen on this vintage postage stamp from the Emirate of Ajman. A Christmas story is not something one expects to hear in February and a Christmas story that starts in outer space is not expected even in season. Stranger still, Thursday night’s “Suspense” was Cold War-inspired and seemingly aimed at ridiculing the Soviet Union for sending a dog to its death Nov. 3, 1957. That’s when the Russians launched Laika, a husky-related mixed dog breed, aboard the second Sputnik. Technology to return a satellite to Earth hadn’t yet been developed, assuring Laika would die after becoming the first animal to orbit the Earth. 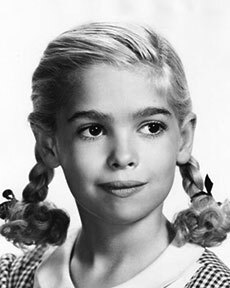 Just a month after the ill-fated dog’s death, the producers of the CBS radio series “Suspense” built a Christmas story around the fictional launch of yet another dog into space during an episode called “Dog Star.” Seven-year-old Evelyn Rudie, who became noted for her portrayal of “Eloise” on CBS television’s Playhouse 90, takes the starring role. In her first radio appearance, Rudie rescues a dog from a crashed satellite. “They won’t torture you anymore,” Rudie says to the dog Chitka. The Cold War backdrop, as it was woven into American broadcasting, makes for something less than a heartwarming holiday story. Its historical context though tells a timely story as both Russia and the United States just this weekend ratcheted up old tensions by suspending a nuclear weapons treaty. “Dog Star” is heard over 97.9 WHAV FM this Thursday night at 10, with an encore performance at 1 a.m.
Gunsmoke: “Fall Semester;” Haunting Hour: “If the Shoe Fits,” 10 p.m. and 1 a.m.
Yours Truly Johnny Dollar: “Canned Canary Matter;” Box 13: “The Dowager and Dan Holiday,” 10 p.m. and 1 a.m. Suspense (new series): “Don’t Look Now;” Suspense (classic): “Jet Stream,” 10 p.m. and 1 a.m.
Dimension X: “The Professor was a Thief;” Suspense (classic): “Speed Trap,” 10 p.m. and 1 a.m.
Great Gildersleeve: Gildy in Trouble With Leila and Grace Suspense (classic): “An Occurrence at Owl Creek Bridge,” 10 p.m. and 1 a.m.
Our Miss Brooks: School Board’s Psychologist; Suspense (classic): “Dog Star,” 10 p.m. and 1 a.m. Couple Next Door: Aunt Martha to Arrive; Suspense (classic): “Never Steal a Butcher’s Wife,” 10 p.m. and 1 a.m.
Gunsmoke: “Sundown;” Haunting Hour: “Breakdown,” 10 p.m. and 1 a.m.
Yours Truly Johnny Dollar: “The Harried Heiress Matter;” Box 13: “Three to Die,” Sunday, 10 p.m. and 1 a.m.